Marco Polo airport (VCE) is the main airport of the city of Venice; It's located in the mainland, opposite to Venice Island (13 kilometres), and it is reachable both by water taxi (from Venice island) and ground transportation (from Venice Piazzale Roma and Venice cruise terminal). The most comfortable way to reach Venice island and Venice cruise terminal from Marco Polo airport is our Private / Premium service, that includes Meet & Greet on your arrival at airport; A private car from the airport building to the water taxi dock (Darsena) located 10 minutes by walk far from the airport building, and a "door-to-door" premium service, with new and premium/luxury boats. Our boat will take you directly to the hotel dock or, in case the hotel does not have a private dock, to the closest public dock. If your are arriving to Treviso airport, please check this page instead. If you are arriving to Marco Polo airport, after collecting your luggage, you will find your driver in front of the luggage claim area exit door, holding a board with your name. Our representative will take you to your car to reach the water taxi dock, located 8 minutes by walk away from the arrivals building. Your traditional Venice water taxi will be waiting for you here, for an unforgettable, hassle-free, first contact with Venice city and the lagoon. 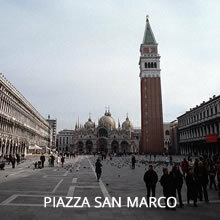 The trip from Marco Polo airport to Venice city centre is approximately 30 minutes. A 30 minutes extension tour through the Canal Grande (additional fee required) is also available, we suggest you to take this tour on arrival in order to enjoy a first look of the city by an unconventional point of view. You can also choose ground transportation from Marco Polo airport directly to Piazzale Roma, the only location accessible by ground transportation, and the Cruise Terminal (Stazione Marittima or San Basilio). Mercedes E Class vehicles and Mercedes V Class and Sprinter vans are available for groups of 3, 5 and 8 passengers. For groups with extra luggage we suggest a Mercedes Sprinter Van. For return transfers (from Venice to both airports) we will pick you up at Hotel dock (where available) or at the nearest public dock available. Water Taxis can accommodate up to 8 people and luggage (10-12 people withour luggage). You can choose a standard fiberglass water taxi or a Luxe wood-made boat. Venice airport transfers available from/to Venice Marco Polo airport, Treviso Canova aiport but also Bergamo airport, Milano Linate, Milano Malpensa, Verona and Bologna airports. 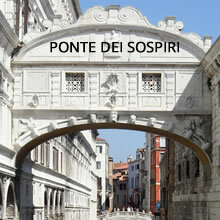 How much is a water taxi from Marco Polo airport to Venice? There are many different prices and options, depending on the type of service provided, the exclusivity and comfort required. 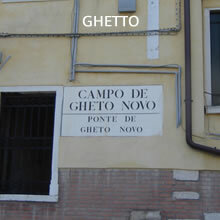 The starting fee for a private transfer is 120€ (without meet & greet and any assistance). How long does water taxi take from Venice to Marco Polo airport? The standard time is 30 / 35 minutes. We usually suggest to schedule your pickup at least 2,5 hours before your flight departure time. 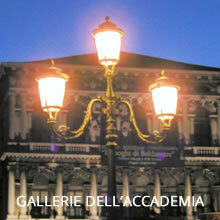 How do you get from Venice airport to hotel? ATVO BUS departs each 30 minutes from Marco Polo airport directly to Piazzale Roma; the fare is 6€ each passenger and the ticket can be bought at the arrival’s hall, after luggage claim area (machine or ATVO desk). ACTV BUS departs each 15 minutes, but depending on the bus number, it will make some intermediate stops during the ride, before attiving to Piazzale Roma; The price is also 6€ and tickets are available at machines in the arrivals hall. Water Bus Alilaguna. Departing from the dock located 10 minutes by walk far from the airport building, each 30 or 60 minutes depending on the time of the day, from 06:15 to 00:00 (also during weekends and public holidays). Red line (from Marco Polo airport to Murano, Lido di Venezia and San Marco); The ride from the airport to San Marco is 1 hour and 10 minutes. Availability from 09:00AM to 06:PM only from April to November. Tickets are available in the arrival’s hall of the airport; The price is 15€ per passenger. Both shared and private water taxis are also available at the airport; you can book it directly on your arrival at the water taxi desk located inside the airport building. As you will have to queue at desk and also wait for your boat at the dock, our suggestion is to book it online before your arrival, to avoid unnecessary waiting and hassles on arrival. Pickup at Marco Polo airport: The driver will be waiting in the arrival’s hall of the airport, after your party has collected their luggage and cleared customs. He/She will be holding a sign with the Lead Passenger name provided in the booking form. Can I contract luggage assistance in Venice? Due to local regulations, the driver can’t leave unattended the boat, so he will not able to assist you with luggage from the dock to your address or hotel. In this case we can provide a “porting service” at an affordable fee. Please contact us if you need assistance with your luggage. Are there any extra fees for credit card payments? No, we never charge any additional fees for online credit card payments. The price you see is the price you pay. Which is the difference between a standard Water taxi and a Premium/Luxe one? Standard/Premium Venice Water Taxis are modern boats made by fiberglass, infused resin or a combination of both materials. Luxury Water Taxis are traditional wood made boats (mahogany or teak) with plenty of luxury details and elegant leather interiors.